Is your career endangered by AI? 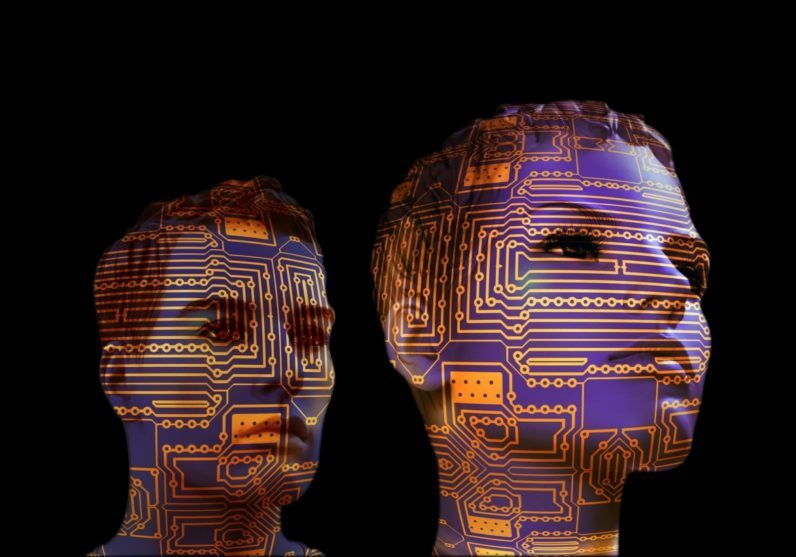 The development of full artificial intelligence could spell the end of the human race…. It would take off on its own, and re-design itself at an ever increasing rate. Humans, who are limited by slow biological evolution, couldn’t compete, and would be superseded. Artificial intelligence is not science fiction any more, it is real. Furthermore, it is something that is happening now and there is a huge chance that you are working with a robot even at this particular moment (let’s just remind you about A.I. gals like Siri and Cortana). With all the buzz around A.I. many people worry that they will lose their jobs and be replaced by bots and robots. Well, the fear of intelligent machines is justified and there are many studies, articles and pieces of research that go in favor. Worried, right? …or will it kick up a notch? On the other hand, when it comes to (human) productivity, artificial intelligence can be a great ally. Many company owners claim that robots aren’t replacing human jobs, but making it even easier for people to do them. Since many pieces of research show that a majority of repetitive tasks can be done by bots and robots, rather than wasting precious human intelligence and knowledge, why not combine them and get impeccable results? Companies like Hitlist, Cable and Wireless or Alaska Airlines saw the mentioned A.I. potential and (successfully) brought it into service. It is very common that freelancers work on several projects at the same time, so in order to meet all the deadlines, they must be well organized. Moreover, if they are hired on an hourly contract time is money, so wasting it on trivial tasks isn’t helpful at all. That’s where A.I. comes in! Futurenda is an A.I. agenda that plans things out (especially) for freelancers by dividing to-do tasks into sessions and filling them into the agenda…fully automatic! The Futurenda founders highlight that they wanted to create an app that will manage a dynamic timetable completely by itself, so the user can fully focus on his job. This app is smart enough to keep an eye on the deadlines and adjust the agenda accordingly. Is there any reason not to tell Siri to start downloading this app right now? It is quite common to be a freelance digital marketer, but on the other hand, it isn’t that easy to manage all the social media campaigns, monitor analytics and make reports just by yourself. However, by utilizing A.I., Crystal.io makes digital marketing data smarter and simpler. Unleash your creativity (that A.I. certainly can’t replace) and worry less about CAC, analytic charts and graphs or daily social media scheduling. Everybody knows how many benefits you can get if you post goes viral. However, in order to ensure that your post will be shareable it must be creative and engaging…well that’s the hard part and company owners are seeking help. That’s why freelance platforms are full of community managers. But…not all of them have the necessary skills. Video editing is certainly not that simple, it is more than that – it is very time consuming and a skillful job. That’s why you can reap the benefits that A.I. brought to Flo, just tell the app what do you want to see in your video and it will make it happen. Flo can be your very own video making assistant that will do a great job in accordance with your instructions, and it will help you to get those 5-star reviews on your profile! A business developer is one more job that is very popular among freelancers. In addition, mobile app developers are looking for consultants that will help them get as many downloads as possible…and they are paid very well. It is very common that freelancers have a lot of online meetings, especially if they work with more than one client or if they are a part of an online team. Ok, A.I. still can’t replace you on meetings, however it can summarize all the details that were mentioned, so you can always be up to date. It doesn’t matter in which niche you freelance, we bet that you are always filling out various Sheets. Hey, there is an A.I. based app that will make filling Sheets both fun and (even more) useful – Magic Spreadsheet. Well, here’s some good news for all of you freelance copywriters out there! – let A.I. do the content spinning for you. Yup, we know how common it is that you spin an article several times for various purposes and how time consuming it can be. That’s why, you should give SpinnerChief a chance! Have you ever thought how many potential collaborations do you waste just because you don’t have enough time to sort out all of your contacts? Surely, way too many. Worry no more – Mila will do it for you! This very intelligent bot will divide all of your contacts into sections and lists. That way you will have are your potential sales and marketing partners already prepared! Really, you will love Mila! As you see, despite all the changes and career shifts artificial intelligence will bring, there are many things that will go in favor of freelancers. Try out the tools we recommended and take your freelancing career to the next level! If we missed any A.I. based tools, or you have any useful advice on the topic, feel free to let us know in the comments below.